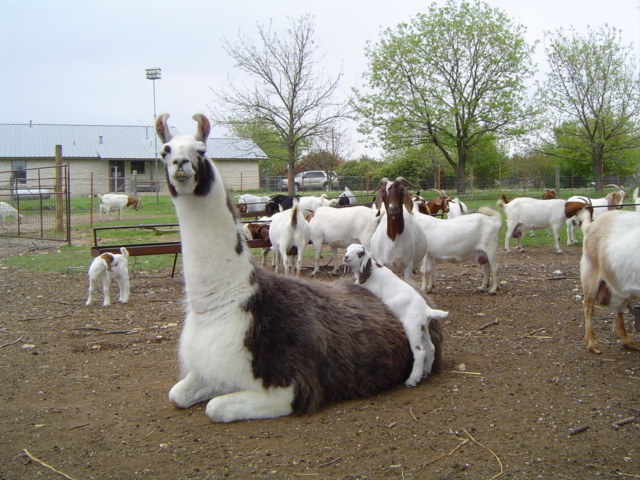 Carleton Ranch raises show wethers and full-blood, registered percentage and commercial Boer goat breeding stock. Now selling 2018 doe kids, show wether prospects and bucklings. 2018 kids got off to a great start on April 17. Check them out on the 2018 Kids page. The final kid, a Hustler buckling, was born July 15, almost a month after the next-to-last pair! He's worth waiting for! Lots of pretty new does, both purchased and "home-made" on the Does page. We have a new fullblood buck, EVEN The Hustler. See him on the Bucks page. Breeding for spring 2018 kids began November 18. New bucks MOTO Mulisha and Shepherd Creek Casino Royale have joined the herd. See them on the Bucks page. Kids were born April 17-July 4, 2017. ﻿Six new young does have joined us. They are all half-sisters, sired by a son of Garland Gallagher's wether buck Rooster, out of does sired by his Freaky buck. We're looking for some fantastic wethers from them next year! Our latest buck, Ecoboost 354, has arrived from Oak Ridge Farms. He's sired by Goober, who is a double-bred 900 buck, so we're hoping to jumpstart our wether program to a new level with him. See him on the Bucks page. R.I.P. Johnnie Llama. At the age of 18 our faithful guard llama had to be put down. Job well done, JL. Congratulations to Rolando Ramirez and his doe, who was chosen Grand Champion Doe at the Starr County Youth Fair in Feb. 2013. She went on to place 7th in a big class at the 5-county Rio Grande Livestock Show in March, against some big-name competition. Congratulations to Tayler Sullivent and her wether Jasper (a DQ Dude son) who won their class at the Young County Fair in Jan. 2013. Her other 2 Carleton Ranch wethers, Bubba and Ryder, were 3rd and 5th in their respective classes. SKW2P Check the Load (aka Checkers), a March 2012 doeling out of Hayr1 by KTM Fully Loaded, placed 2nd in the 0-3 month fullblood doe class at the Lone Star Buckle Series in Boerne May 19. See her in the ring on the 2012 Kids page. Listen to an excerpt from an interview with Sue by Dave Barrett of CBS news radio about the effect of the Texas drought on goat ranchers, recorded Aug.17. Click here for the podcast. Kim Harris reports that JJ, a Carleton Ranch yearling buck out of AU SLP Big Lips by KTM Fully Loaded, won his class plus was named Reserve Grand Champion Buck of the 2011 Pima County (Arizona) Fair. Congratulations Kim! We have our first-ever Grand Champion! See RJ Salinas and Big Dot on our Show Time! page. 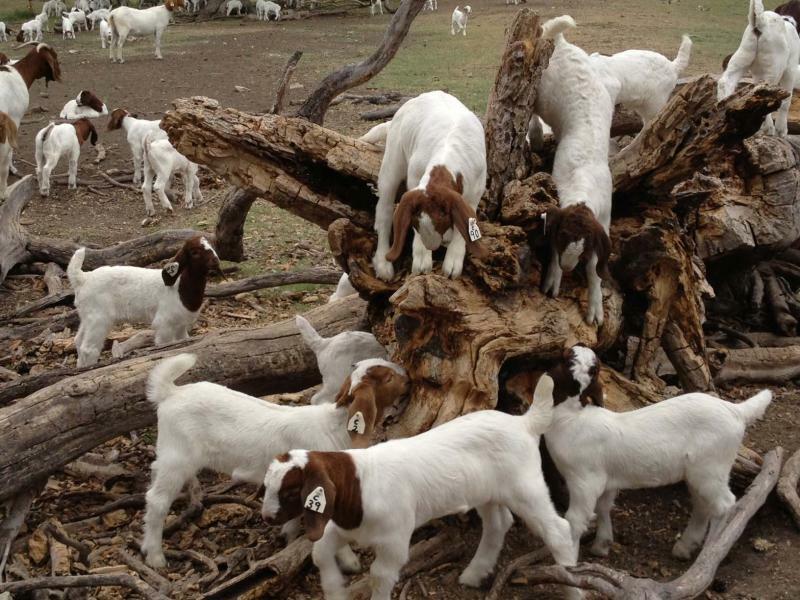 If you show one of our goats, send us a show photo and we'll add it to the gallery. Carleton Ranch is featured on the front page of the Oct. 14, 2010 issue of the Central/SouthTexas edition of Country World. Click here to see the article. Why is this goat smiling? Please contact us anytime--we love to talk goats! We're just hanging around waiting to hear from you. We recommend our veterinarians, Dr. Trampus Isom at Hiway 29 Vet Clinic in Bertram and Dr. Dan McBride at Burnet Veterinary Clinic, and our feed supplier, Ranchers Feed and Supply in Bertram. If you visit them, tell them we sent you!